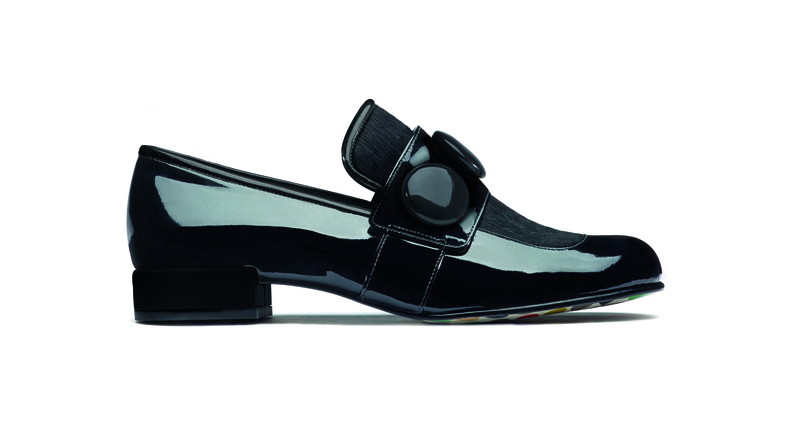 Orla Kiely for Clarks: the new season! I love Clarks. You know I do. I’ve been wearing Clarks’ shoes for longer than any other brand (school shoes), they’re part of my favourite sub culture (mods and their desert boots) and they even appeared in the best TV show EVER (Walt’s Wallabees in Breaking Bad). I also love Orla Kiely. My house is littered with bedsheets, towels and mugs in the signature stem print; it taps into the bright, retro aesthetic that I’m really drawn to. So I’m delighted that Clarks’ collaboration with Orla Kiely continues for A/W2014 and the new season designs go on sale today! 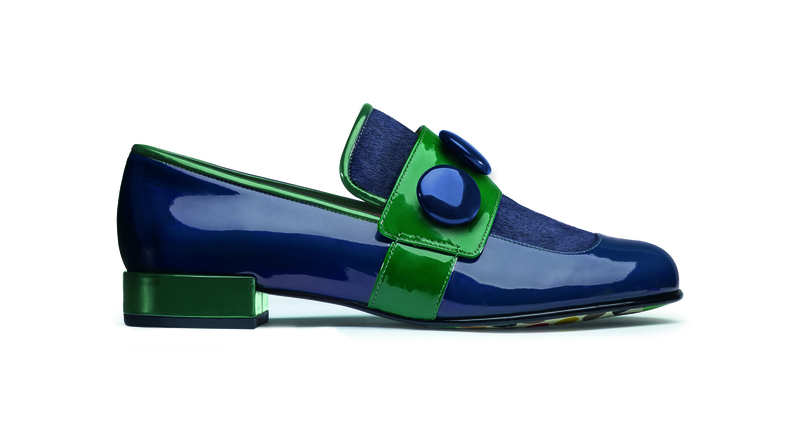 There are a lot of heels in the collection, but there are two offerings of flats too. 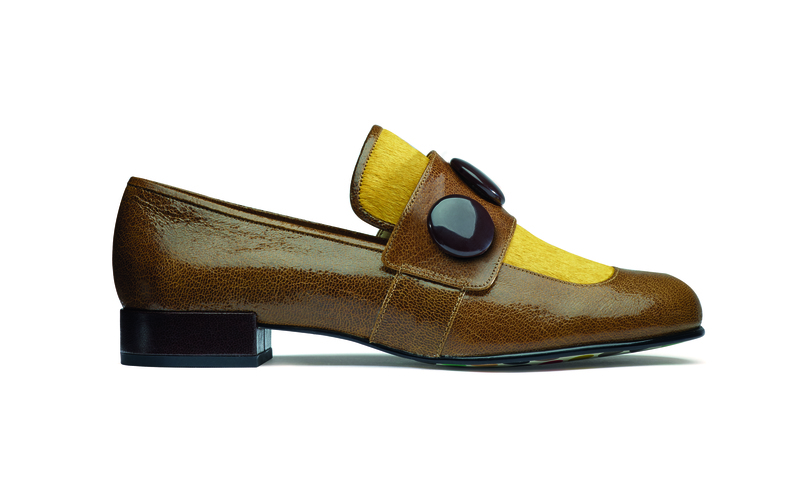 The first is Dora, a lovely two-tone loafer with big chocolate buttons that look good enough to eat. It comes in three different colourways including a texture mixed black pair which you could wear with absolutely anything. 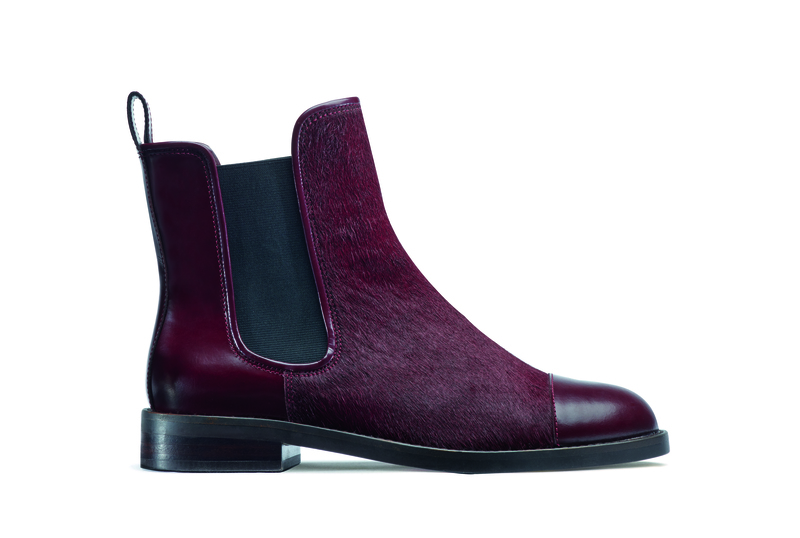 I also love Daphne, a simple Chelsea boot with that same luxurious two-tone feel; both designs use pony skin (that’s just unshaved leather, not actual ponies!) as a contrasting texture which I think looks really smart. I would wear these with my fall-back turned up skinny jeans or even my Hobbs tartan trouser suit from a few winters ago. Dapper shoes like this deserve a dapper outfit! 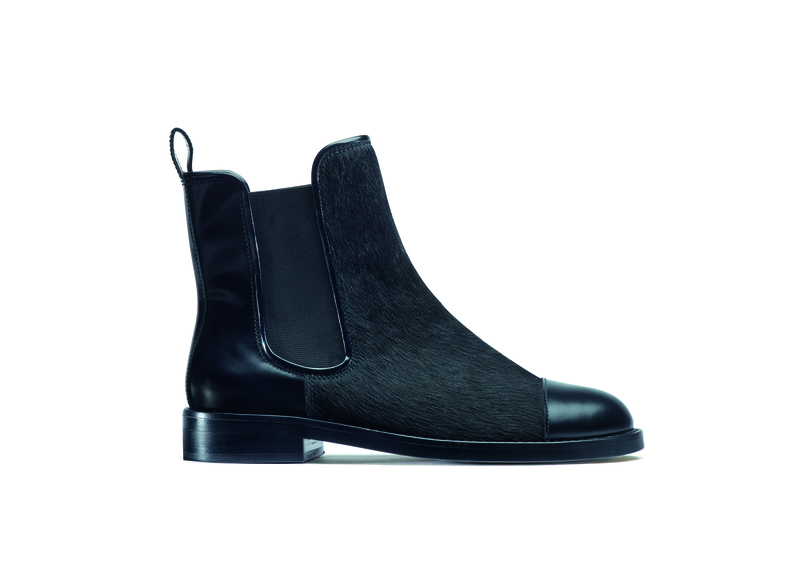 I love the ponyskin Chelsea boots. So miffed they don’t ship them overseas. I would love to have the Chelsea boots too. I bet it will make a more feminine alternative to my favorite combat boots.